The BDSG hosts a number of commercial bioinformatic software packages. Please contact us if you are interested in using any of these packages, and we will provide you with a quotation (where applicable) for accessing the software. We offer access to Partek Genomics Suite via floating licenses, which means that the software can be used on any college computer, but only by one person at time. Access to floating licenses is managed through a booking system. We operate a fair usage policy allowing users to book out up to 3 hours per day. The booking system can normally be accessed through the above 'Book floating license' button, while instructions on using the booking system are available on the License booking system page. NEWS: March 18th - We are experiencing issues with our Sharepoint booking diary while it is being moved. We are not currently able to take bookings. If you are a registered Partek user, you may continue to access Partek in the meantime without booking, but please remember to log out, and do not use the license for more than 3 hours continuous use. If you experience issues accessing the Partek license, please contact bdsg-help@ic.ac.uk. We no longer offer access to Genespring floating licenses following a drop in demand. 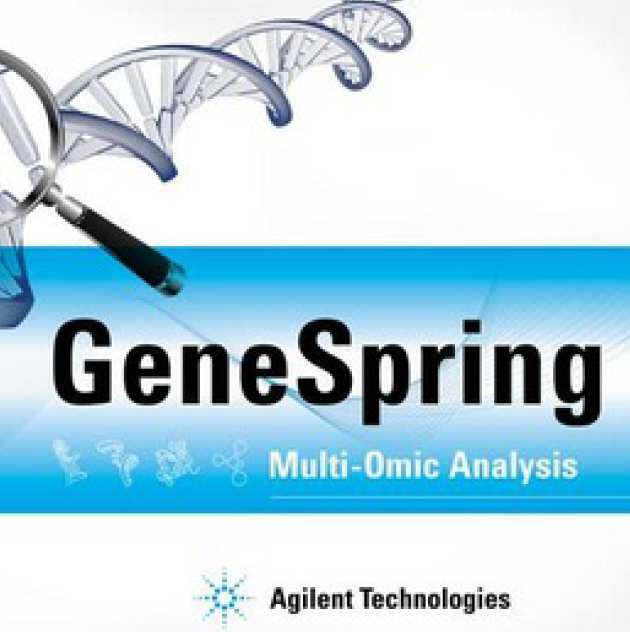 If you would like access to Genespring products, please contact Agilent directly. Partek Genomics Suite software is a desktop analysis software package which has a number of built-in workflows for a variety of genomic applications that guide researchers through every step of the analysis process. Advanced users can perform bespoke analysis. Firstly, Download the software installer for your operating system. Windows and OSX users can start the installation by double-clicking the downloaded package, while instructions are available from Partek for Linux installations. When prompted to provide license server information, enter "bss-licsrv01.bioinformatics.ic.ac.uk" into the 'Server name' field, and '27010' into the 'Port' field. Access to the license is restricted, so you will need to provide the username you use to login to your computer to us to enable access to the license to be granted. Online tutorials and support are available through the Partek website. IPA helps researchers analyse data derived from gene transcriptomics platforms, SNP arrays, and proteomics experiments, in order to gain insight into molecular and chemical interactions, cellular phenotypes, and disease processes within a system. IPA allows users to quickly visualise trends and similarities across analyses using heat maps for Canonical Pathway, Downstream Effects, Upstream regulators and Causal Network Analyses. Access cost per annum: Free for UK Med-Bio users, all others please mail us stating your group, department, PI and a very brief description of the project you will be using IPA for.